Over the weekend I took part in Ellen Million Graphics Sketch Fest #51. I had hoped to have more time to spend, but as the garden and outdoor chores come first, I only had an hour and only time for one sketch. 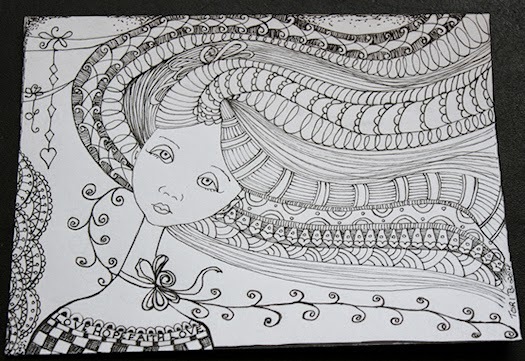 I chose the prompt “Zentangled Anything” by Tiffany Guin and came up with this tangle headed girl. This was an incredibly fun piece to do and I’m so glad that I took that hour to sit down and draw. I will probably color her at some point and when I do, I’ll share the colored version with you. 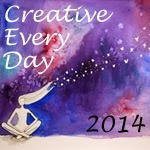 If you have never heard of EMG’s Sketch Fest, I would encourage you to check it out. Some gorgeous work is created every month by very talented artists in response to a large number of prompts left by both artists and fans alike. Posted in motivational art, portrait, Tori Beveridge and tagged art, doodle, face, illustration, sketch, Sketch Fest, Tori B, Zentangle.